I’m officially a trapeze artist. Well, in my mind at least. DO what brings you JOY, challenge yourself and find ways to CONNECT on a real level. 3. After a few practice swings, trust this man we’ve just met to catch us while swinging from the other side. What will these girls THINK of me if I don’t do it RIGHT? I could let the fear take over and not fully experience this moment, or I could acknowledge how I’m feeling and jump anyways. I let go and made the jump. No one was judging me – in fact we were all feeling the same way. I learned like anything, the first step is usually the hardest. And it really doesn’t matter what it is; choosing to eat better, challenging your body with something new physically, a career change, or a travelling the world. The more you practice, the faster those difficult things seem to suddenly become easy, challenge is always an opportunity to grow, and you’re always stronger than what your inner critic is telling you. I’m so glad I was open to this experience and to meeting new friends. Being vulnerable about how you’re feeling isn’t a sign of weakness. I’ll tell you right now, you’re never alone in what’s going on in your head. We’re all going through the same stuff. Being brave and putting yourself out there allows us space to connect on a deeper level. 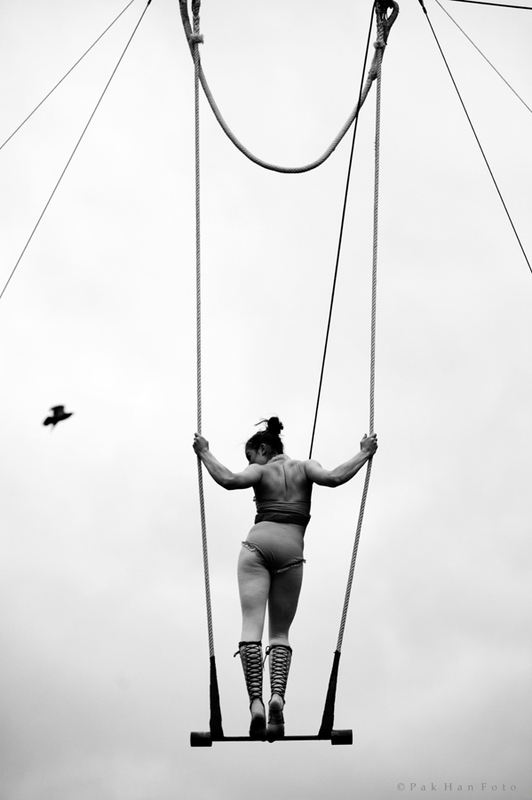 I don’t think I’ll be making a career as a circus performer tomorrow, but I did learn a lot more about myself. Next up, lion taming! Then again, maybe not. Are you ready to take a LEAP? What’s something that you’re scared of DOING? I challenge you to get out there and be like Nike, JUST DO IT! As the owner and creator of Real Food, Real Simple I'm on a mission to help others redefine healthy living, one plate at a time. In the ever confusing world of food where everyone has an opinion about what you should be eating, I help bring you back to basics and eat well on your terms while feel amazing in the process. My goal it to educate people on how eating real, healthy food can have a direct effect on your energy, your relationships and your overall life. I offer real life solutions and a simplified approach to navigating meal times through meal plans, 1:1 coaching and group programs. It’s not about diets. It’s about a tangible lifestyle shift that gives you the freedom and flexibility to live and feel your best!